Located about 100 miles southeast of Salt Lake City near Price, Utah, this 10,200 blocked-up and contiguous deeded-acre Ranch, ideal for a conservation-minded buyer, includes an additional 5,500 acres of BLM and State Land within the Ranch boundary. Held under the careful stewardship of only two owners since its homesteading in 1929, the Ranch has primarily been utilized as a summer grazing, hunting and recreational property since it was assembled. With Indian Head Mountain as a backdrop, the 2,900 feet of elevation gain offers dramatic views and ideal habitat for big game and upland birds. 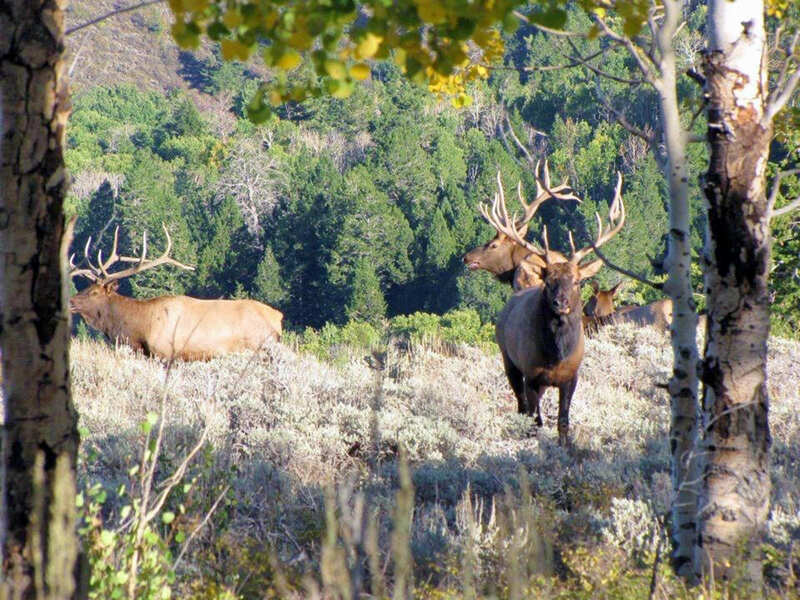 Operated as a Cooperative Wildlife Management Unit, the Ranch is professionally managed for elk and mule deer. This individual Hunting Unit provides for approximately seven bull elk tags and nine mule deer tags annually. During the summer months, the Ranch pastures 400 to 500 cow-calf pairs on the productive pastures which also attract big game. Enhancements are continuously implemented in order improve pasture rotation, increase water for livestock and wildlife, and to enhance sage-grouse leks. The Seller has initiated a habitat enhancement program with the U.S. Fish and Wildlife Service (USFWS) to improve sage grouse habitat on the lower elevations of the Ranch. The beautiful 12-acre spring-fed stocked Kyune Reservoir provides agricultural benefits as well as great fishing. In addition to the reservoir, the Ranch has numerous strategically-placed stock ponds which provide water sources for livestock and wildlife. The Ranch is in excellent condition, and was rested for the 2014 season while livestock ponds were cleaned, weeds sprayed and interior roads were graded. The availability of this remarkable Ranch represents an opportunity for acquisition of a legacy property for a family or group to enjoy and continue the stewardship of previous generations. This Utah Ranch is being sold to settle a family estate. 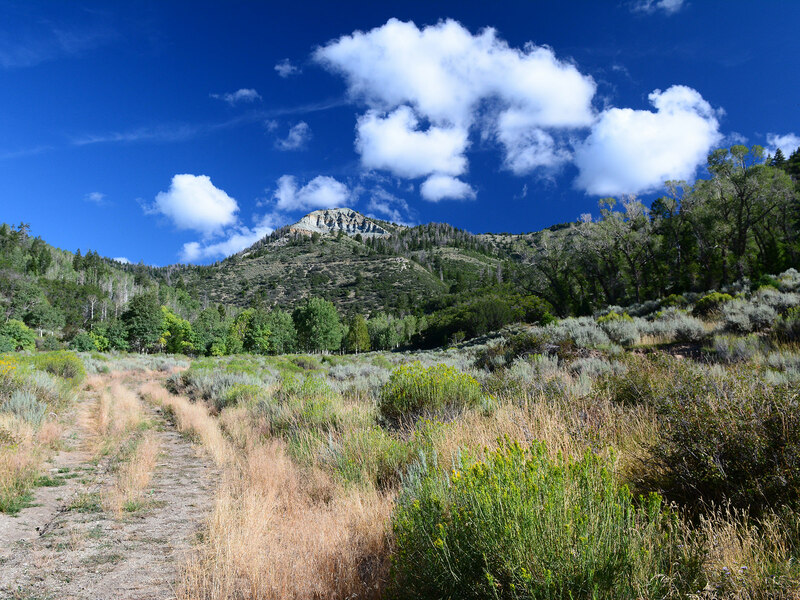 This Utah Ranch for sale offers easy-year round access with over four miles of frontage on Emma Park Road, a paved county-maintained road that connects State Highways 6 and 191. There are four private-gated entrances to the Ranch from this road which generally runs along the south boundary of the Ranch. There is no public access into the Ranch. The Ranch extends between three and five miles north of Emma Park Road to Reservation Ridge which marks the boundary between the Ranch and Ashley National Forest. A gravel road follows the top of Reservation Ridge, but access into the Ranch from this road is limited to foot or horse travel. A variety of interior roads and ATV trails allow good access to the eight canyon drainages on the Ranch, many of the stock watering ponds, Kyune Reservoir and the Price River. The closest city to the Ranch is Helper, located about 12 miles southeast on State Highway 6. This small community with a population of 2,200 has several local eateries, specialty shops, a medical clinic and two grocery stores. Helper is known for its diverse ethnic culture and hosts an annual arts festival. The city is named after the “Helper” locomotives that have been staged there since 1883 in order to help heavy coal trains over the mountains traveling to Provo and Salt Lake City. The Amtrak California Zephyr stops in Helper on its daily route between Chicago and San Francisco. Price, with a population of approximately 9,000, is located about 18 miles southeast of the Ranch via Highway 6. The County seat of Carbon County, Price is known as the coal capital of Utah. Price offers a multitude of coffee shops, restaurants, and several mainstream hotels that intertwine through the downtown along with retail stores for ranching, hunting and fishing supplies. Carbon County School District offers a progressive, high-quality kindergarten through high school education to all children in the county. In addition to schools in surrounding towns, there are two elementary schools, a middle school and two high schools in the town of Price. Utah State University Eastern – a public regional college and home of the “Golden Eagles” is situated on twelve acres in the center of town. Castleview Hospital is a 49-bed medical facility that has been ranked as one of the Top 100 Hospitals in the nation seven times according to LifePoint. Carbon County Regional/Buck Davis Field (KPUC) is located about 15 minutes from the Ranch. This regional airport has three runways including an 8,000¢ main runway, 24-hour jet-A fuel and hangar availability. The fixed-based operator (FBO), Redtail Aviation can be contacted at 435-637-9556 or visit their website http://redtailaviation.com. Allegiant Air operating out of Provo, Utah currently offers direct flights to Los Angeles, Oakland-San Francisco, and Phoenix-Mesa. Less than two hours from the Ranch is Salt Lake City’s International Airport with service by nine major airlines to approximately 89 nonstop cities in the United States, Canada, and Mexico, as well as a daily nonstop to Paris. 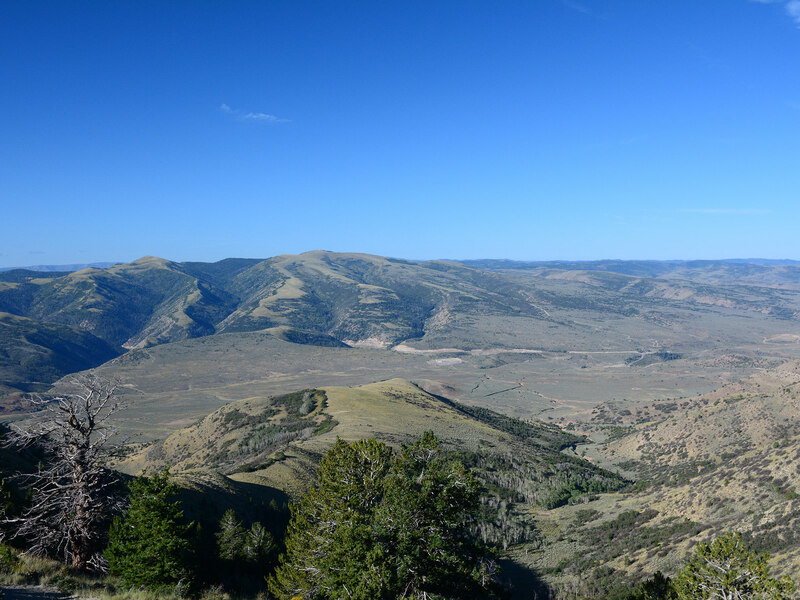 Elevations on the Ranch range from about 7,000' at the Price River to 9,959' at the highest point on the Ranch – Indian Head Peak. This elevation range includes four distinct but integrated vegetative habitat zones. The Conifer Zone ranges between about 8,000' and 10,000' of elevation. This zone includes a mixture of sub-alpine fir, white fir, blue spruce, Englemann spruce and limber pines. This community provides cover for deer and elk, essential winter habitat for snowshoe hares and blue grouse as well as nesting habitat for numerous species of songbirds and small mammals. Many of the timber stands have been logged using selective cutting which opened up the canopy thereby improving wildlife habitat. 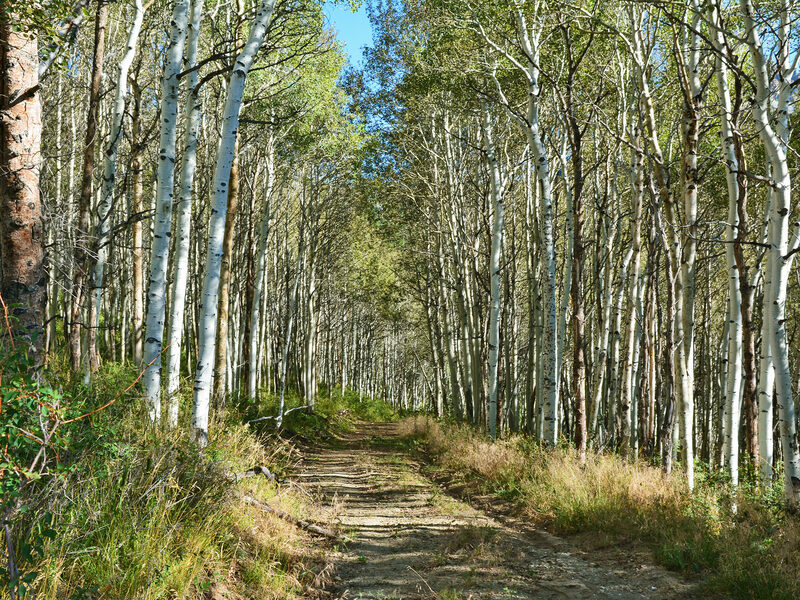 Aspen and its diverse understory of shrubs and forbs provide habitat for numerous wildlife species. Next to riparian areas, the Aspen Zone is unsurpassed in diversity and biomass. Deer and elk give birth to their fawns and calves in the aspen groves. Red-tail hawks and goshawks nest in aspen trees feeding their chicks small mammals and songbirds which also thrive in this zone. This zone is comprised primarily of serviceberry, mahogany and oak brush plants. These tall shrubs also provide feed and cover for deer and elk during the fawning and calving seasons. This community is used as a transition range for big game species in both the spring and fall. Cottontail rabbits and their predators frequent this zone. Coyote, gray fox, bobcat and badger can all be found here. There is an active golden eagle nest on a cliff overlooking the Mountain Brush zone in Kyune Creek. 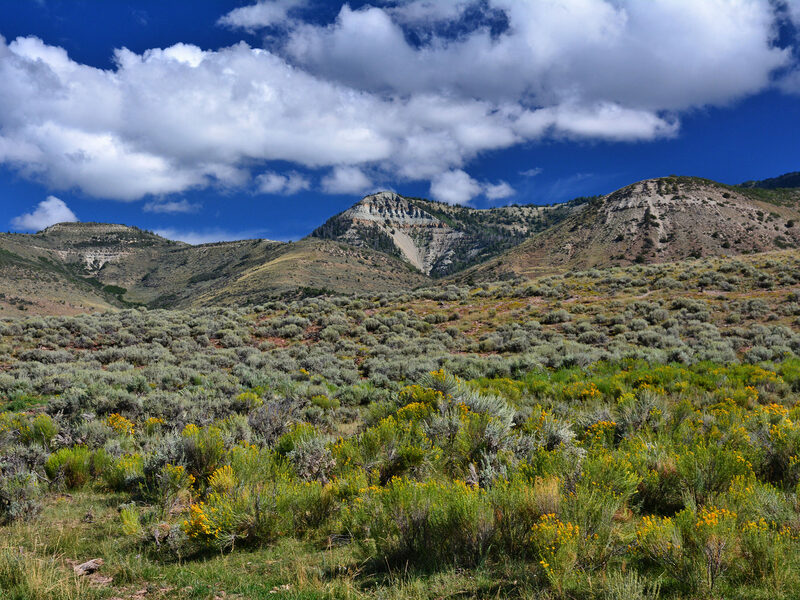 As you leave the steep canyons and enter what is known as Emma Park you encounter the Sagebrush Zone. This zone, although the driest of the Ranch, is possibly the most important due to the presence of sage-grouse which is a sagebrush-obligate species. The greater sage-grouse species has diminished in population across the West to a point that the U.S. Fish and Wildlife Service (USFWS) is considering listing the species under the Threatened and Endangered Species Act. Proactive steps have been initiated voluntarily by the Seller to further enhance the sage-grouse population on the Ranch. The Sagebrush Zone is also important winter habitat for deer and elk. Although not considered a separate zone, discussion on wildlife and their habitats on the Ranch would not be complete if riparian habitat was not mentioned. Horse Creek and Kyune Creek and their tributaries cascade through the steep canyons and meander through the low lands of the Ranch to the Price River creating ribbons of green through the hot summer months. These ribbons and the associated flows of water attract many species of wildlife from all vegetative zones. Insects are plentiful, providing food for birds and fish, which in turn provide food for larger predators. Beaver and their dams can be found where the willow and aspen groves provide food and building materials. The beaver ponds effectively impound the flow of water which results in the storage of water and a sustained release throughout the year. An occasional moose is observed in the willow bottoms as well. With the abundance of healthy big game populations, black bears and cougars are also found on the Ranch. The diversity of wildlife on Indian Head Ranch is directly related to the diversity of elevations and zones of plant communities contained within its boundaries. Wildlife species are known to utilize the edges of plant communities or the areas where two or more plant communities come together. Indian Head Ranch is a great example of nature’s creation of a long folded ribbon of these edges highlighting the value and functionality of these important wildlife areas. Climate at the Ranch is four seasons with an average January low of about 0°F and an average July high of 85°F. Average annual precipitation is about 20″ at the higher elevations, and about 15″ at the lower elevations. 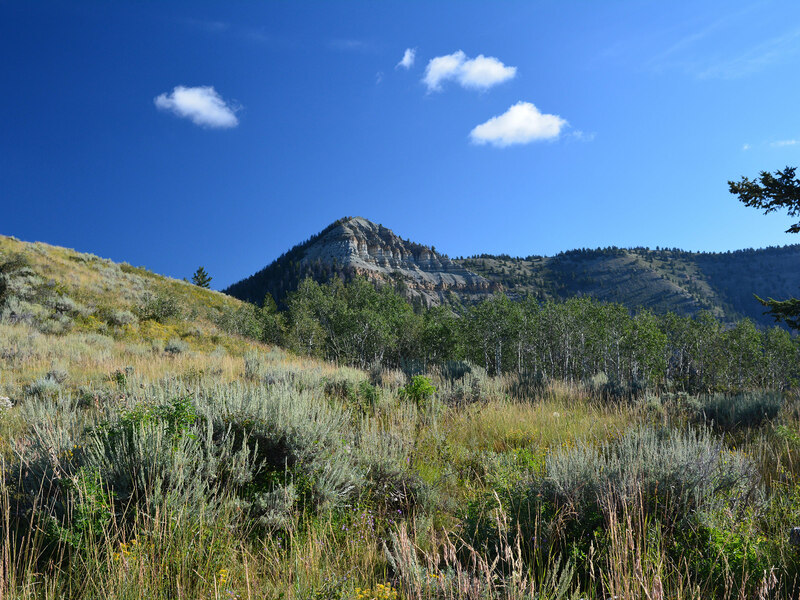 Elevations on the Ranch range from about 7,000′ at the Price River up to 9,957′ on Indian Head Peak. 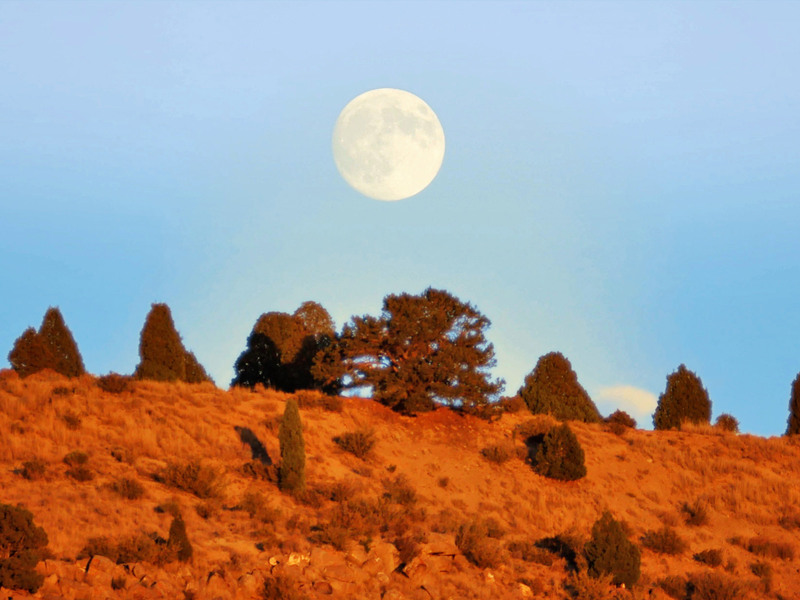 The Ranch includes the Kyune I BLM Grazing Allotment, which authorizes grazing on approximately 4,700 acres of BLM land within the Ranch’s boundaries at a rate of $1.35 per AUM.. This allotment, No. 14128, provides for 297 head of cattle to graze from June 1 through October 31 for a total of 448 available AUM’s. The Ranch also includes the private U.S. Forest Horse Ridge Grazing Permit No. 00424 on the Ashley National Forest which shares a common northern boundary with the Ranch for about 5 miles. The Permit allows for the grazing of 150 cow-calf pairs from July 1 through September 30 at $1.35 per AUM. The Ranch also includes the State Institutional Trust Lands Administration (SITLA) Grazing Permit No. 22867 situated within the Ranch’s boundaries, authorizing grazing for 66 AUMs on approximately 475 acres at $4.68 per AUM. The Property is subject to a five-year summer grazing lease, commencing January 1, 2015. The lease requires payment of $15.00 per Animal Unit per Month. The Seller and Lessee are developing a resource management plan in conjunction with the NRCS, the SGI and the Utah Grazing Improvement Program (GIP) to create several pastures to facilitate a pasture rotation system that will stand on its own and/or which can be used in conjunction with two adjacent ranches currently under lease by the Lessee. As additional pastures are created and range improvement projects are implemented, it is anticipated that the amount of livestock grazing on the Ranch can be increased. Beginning in 2015, it is anticipated that approximately 400 to 450 animal units (cow/calf pairs and yearlings) will be grazed on the Ranch for approximately two to three months of the summer grazing season, resulting in potential approximate income of $13,500 to $16,500. As the number of cattle to be grazed and/or the length of the grazing season increases, there would be a corresponding increase of income. In 2014, the range, including the Federal and State grazing allotments referenced above, were rested while the Seller and Lessee cleaned and rehabilitated the stock watering ponds throughout the Ranch and developed plans for range and habitat improvement projects. The Lessee is responsible for payment of all required grazing fees to the BLM, SITLA and USFS. Numerous stock watering ponds have been strategically constructed within the major drainages. These ponds are essential to the distribution of livestock and wildlife on the range. As of the fall of 2014, all ponds that have been cleaned are now full of water due to recent heavy rains. The secluded, creek- and spring-fed Kyune Reservoir, which covers approximately twelve acres, is considered by many to be the crown jewel of this Ranch. 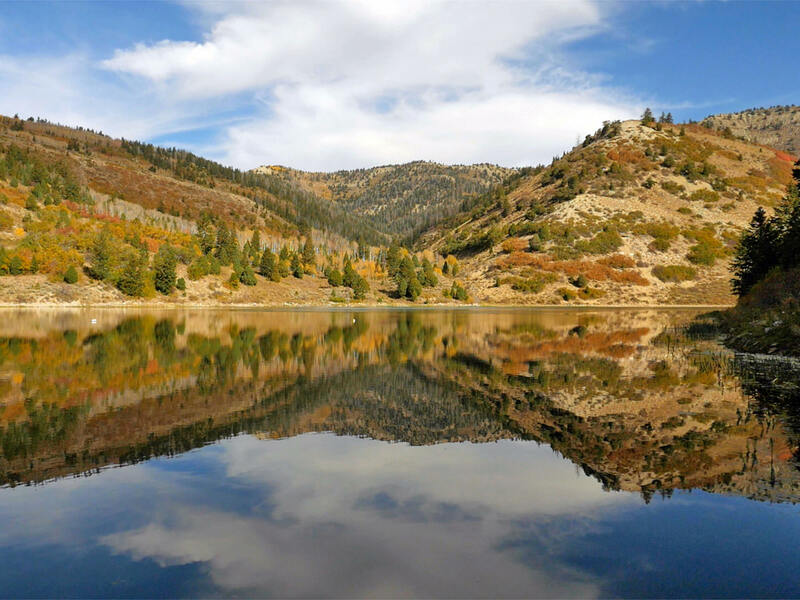 This well-maintained stocked reservoir sustains healthy fish populations of trout providing plentiful opportunities for the devoted angler. The Seller has installed a windmill at the reservoir to enhance oxygen circulation for the fish. There is a small one-room shelter and an outhouse on the shore of the reservoir, along with a large steel shipping container capable of storing ATVs, boats, and additional equipment. The reservoir provides an absolute quality recreational experience. A multi-room cabin, situated at about 8,200′, dates back to the 1930s. Although it is in a beautiful location, the cabin is in disrepair. At least one additional homestead log cabin is on the Ranch demonstrating an historical appeal. The south boundary along the Emma Park Road is fenced as well as a portion of the west boundary of the Ranch. One cross fence exists in the southeast corner of the Ranch, which effectively creates a relatively large low-land pasture adjacent to the Emma Park Road. Also along Emma Park Road on the west end of the Ranch is a small corral and loading-chute facility. This very well-maintained set of improvements is strategically located and is ideal for efficient cattle management. The Seller and Lessee are continuously implementing improvements to the Ranch. In cooperation with the NRCS, SGI and GIP, enhancements are being developed to improve and rehabilitate several of the numerous springs which are located throughout the Ranch. Commencing in 2015, this work will enhance water flows benefiting both livestock and wildlife. Installation of several gap fences in strategic locations for the creation of separate pastures within the Ranch is also being planned by the Seller and Lessee to better facilitate the grazing rotation system. The Ranch is taxed under the Utah Farmland Assessment Act (Greenbelt) because it meets the requirements of the Act to be classified as agricultural due to the grazing lease. Any change in use will result in a five-year rollback tax at a higher rate, which would be the responsibility of the Buyer. Property taxes for 2015 were $1,500.00 or 15ȼ per acre. Good cell coverage via Verizon Wireless is available throughout most of the Ranch. There are a total of 33 water rights appurtenant to the Ranch. All have priority dates of 1860 except for three with a priority date of 1869 and one of 1902. They are all point to point on various streams within the Ranch for stock watering and a few are also designated for domestic use. A complete list of water rights is available upon request through our Salt Lake City office. The Seller will convey the Ranch without any reservation of mineral or other real property rights. All mineral rights appear to be vested in the State and Federal government. 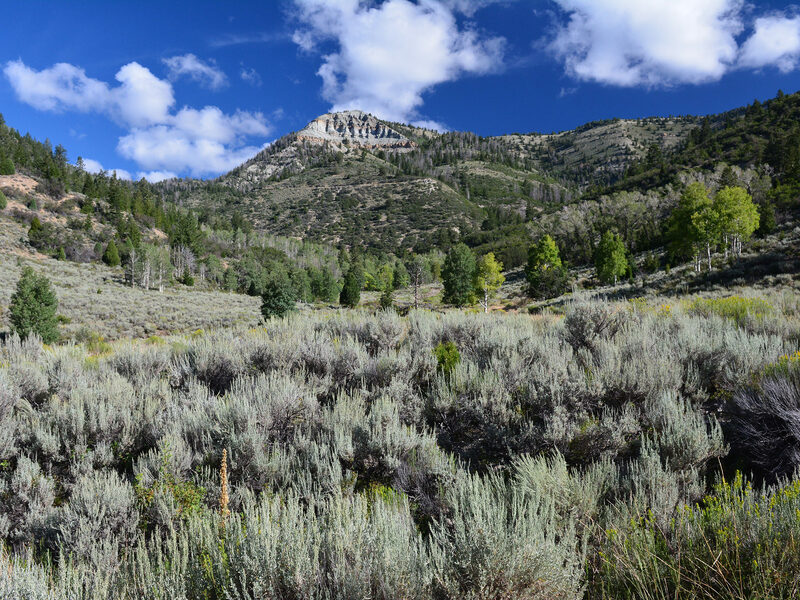 The Utah County portion of the Ranch is zoned M&G-1, Mining and Grazing Zone, 50-acre minimum lot size subject to County building department approval. The 109-acre portion of the ranch located in Carbon County is zoned WS, Watershed Zone, 40-acre minimum lot size subject to County building department approval. Refer to http://www.utahcounty.gov/Dept/ComDev/index.asp and http://www.carbon.utah.gov/departments/planningandzoning.aspx for particulars related to these zoning classifications. 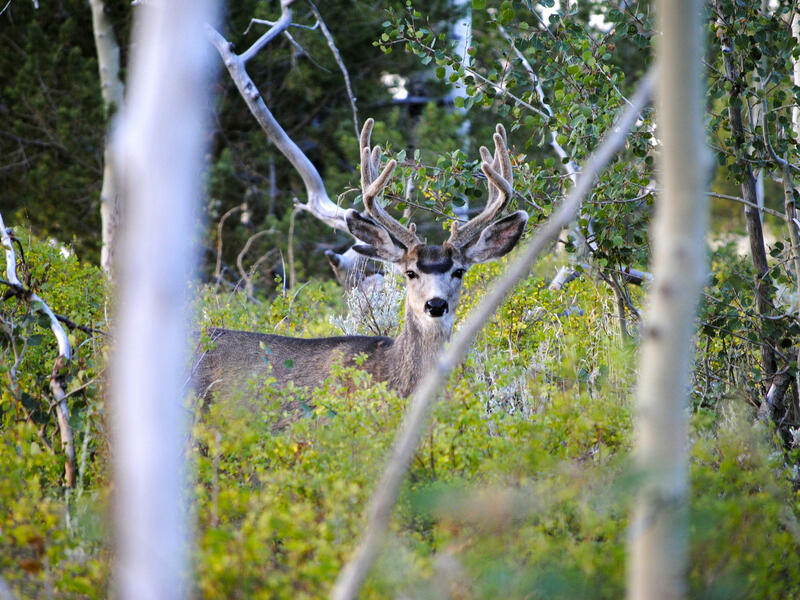 Big game hunting on the Ranch has been managed through the Utah Division of Wildlife Resources Cooperative Wildlife Management Unit (CWMU) program for many years. This program allows landowners to take an active role in the Division of Wildlife Resources’ herd harvest management objectives and provides a modern science-driven approach to the management of trophy quality deer and elk on their private properties. 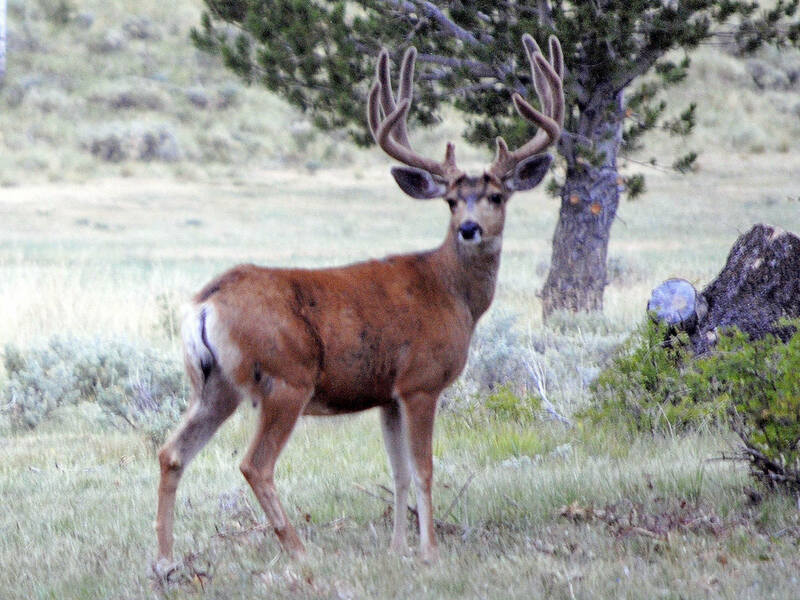 As a Cooperative Wildlife Management Unit, the Ranch is operated as an individual Hunting Unit providing for approximately seven elk tags and nine mule deer tags annually. 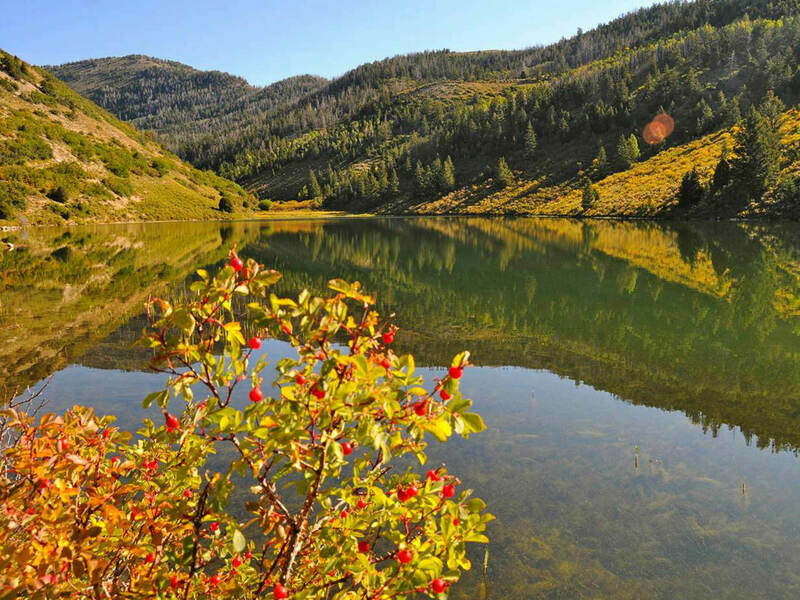 The stocked twelve-acre Kyune Reservoir located deep inside the Ranch is licensed for rainbow, brown, tiger and cutthroat trout. In the spring of 2014, 600 cutthroat were planted in the reservoir. Coursing through the southeast corner of the Ranch for over a mile in a 200-foot deep canyon, the Price River flows next to the Denver & Rio Grande Western Railroad that stretches between Denver and Salt Lake City. This significant River offers good fishing for stocked rainbows, wild brown, cutthroat and tiger trout. The Castle Valley spreads out south of Price and is home to the renowned San Rafael Swell, Goblin Valley State Park, Huntington and Millsite State Parks. Recreation in this area is boundless with optimal opportunities for hiking, biking, four-wheeling, camping, fishing, and hunting. Historians will relish in the numerous dinosaur sites, museums, ancient Native American rock art, railroad and mining history and ghost towns. During the winter months, the high elevation of the Ranch and surrounding area provides ideal winter conditions for cross-country skiing, snowmobiling, snowshoeing and ice fishing. If venturing off the Ranch, Manti-LaSal National Forest and Scofield State Park, located 24 miles from the Ranch, offer miles of Nordic ski trails, and the Skyline Drive Scenic Backway provides 87 miles ideal for snowmobiling. There is evidence of the presence of Native Americans in this section of Utah dating back 8,000 years. Nine Mile Canyon, a Utah designated Scenic Backway located about 27 miles from the Ranch, has one of the largest concentrations of Native American rock art in the United States. The extensive rock art, primarily created by the Fremont culture and the Ute people, is promoted as “the world’s longest art gallery.” Despite the name, Nine Mile Canyon, this array of pictographs and petroglyphs encompass about a forty mile stretch. In 1776, unbeknownst to our Country’s founders who were fighting the Revolutionary War and drafting the Declaration of Independence, two Spanish priests, Father Escalante and Father Dominguez, were the first Europeans to pass through this part of Utah. Along with a cartographer and eight men from Santa Fe, the group was trying to establish a safe route between Santa Fe in present-day New Mexico to the Catholic Mission in Monterey, California. Although aided by three Timpanog Ute guides, the group did not reach California, but returned to Santa Fe. Traveling through parts of Colorado, Utah and Arizona, their route became part of the Old Spanish Trail from Santa Fe. Mormon Pioneers arrived in the Salt Lake Valley in 1847 and by 1879 the first permanent settlers began to establish the community of Price, located on the Price River about 18 miles southeast of the Ranch. The character of Price changed dramatically with the completion of the Denver and Rio Grande Western Railroad in 1883. Price was quickly transformed from an isolated farming community to the commercial hub of Castle Valley. The railroad was directly responsible for Price becoming the retail, political, educational and cultural center of the area. The railroad also had a significant impact on the nearby coal mines, which brought thousands of foreign-born immigrants to work the mines. Originally these workers lived in the coal camps near the mines, but Price gradually assimilated many of them, reflecting the ethnic diversity of the county and creating a cultural hub. These immigrants came from many countries, but the majority were Greek, Italian, Austrian and Japanese. This diversified population has remained today, making Price one of Utah’s most culturally complex and varied communities.